We live in Dripping Springs with close to two acres of land. Several issues confront property owners in this area who wish to have attractive landscaped yards: deer, drought conditions with only a well for water, and rocks, rocks and more rocks. With a precious water supply, it was clear we needed to xeriscape if we wanted to improve our landscape. 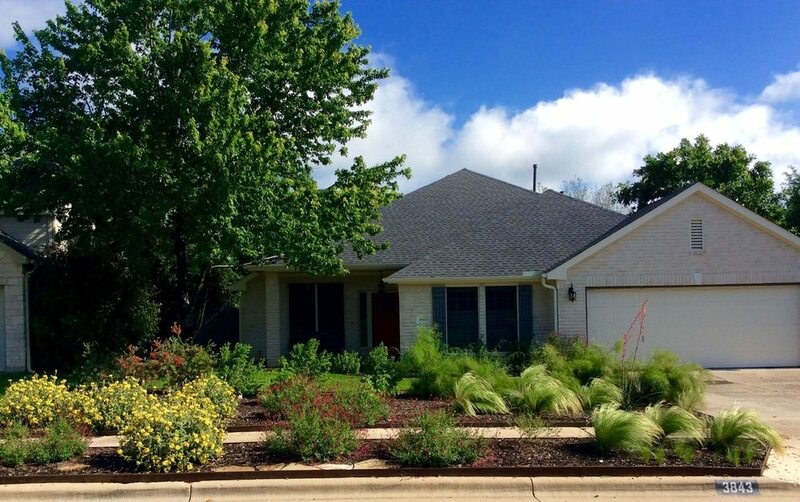 We chose Austin Native Landscaping because of their commitment and passion to creating beautiful landscapes while conserving water by using native, drought resistant plants. We love color and did not want just a large area of cactus. We also love birds and butterflies. Reed designed beds which will be full of color at various times of the year, using all native, low maintenance and deer resistant plants and trees. He worked with us and happily made adjustments to better suit our desires throughout the design and building of the projects. We encountered lots more rock than any of us expected, yet Reed and Andrew worked tirelessly and diligently to remove as much as they possibly could, moving the heavy rocks to various locations on our property where we requested they be put and then utilizing much of them into the design. Throughout this grueling work they continued to remain upbeat and always had smiles on their faces when they spoke with us. These guys are strong and extremely hard working. One area we wanted to landscape was especially large and we could not afford to completely landscape it at one time. Reed designed a plan for us, totally prepared the area and planted some of the trees to get us started. We now can follow his plan and do the planting ourselves at our own pace as we can afford it. Austin Native Landscaping are professional and knowledgeable; qualities I expect in a company I hire. But they are also very hard-working, reliable, friendly and very ethical. Qualities that, unfortunately, are rare in businesses these days. This is a small and very dedicated company. I highly recommend Austin Native Landscaping!